Lawns that are covered by flood waters, even temporarily, may be subject to various types of damage. In general, most turf species will tolerate a few days of flooding without any negative effects. However, turf that remains flooded for more than a few days (especially when it is hot) can rapidly decline due to lack of oxygen and light. Substantial turf loss can be expected after 4 days of continued submersion. Other factors associated with flooding of turf include: soil coverage, water contaminated with petroleum or pesticides, high water temperature and algae scum. The most significant long-term effect of flooding is the deposit of sediment (“muck”), primarily silt and clay, over turf surfaces. This can lead to serious soil layering problems and even death of the existing grass. Once flood waters have receded, pick up any debris, such as wood, glass, stones, nails and other metal objects deposited on lawn areas. This debris could pose a safety hazard to mower operators and damage power mowers or other equipment later used to maintain the lawn, as well as to people and pets who may use the lawn for recreation. Remove leaves or any other material that may smother grass. Soil (“muck”) deposited on a lawn can sometimes be removed before drying by a combination of scooping/shoveling and washing with a jet of water using a hose-end sprayer. However, removal of soil may be impractical or impossible due to the size of the lawn area, the depth of the soil, the weight of the wet soil, and ability to move it to another location. Soil deposits on golf greens and other sand-based turf systems (soccer, football or baseball fields) should be removed as quickly and thoroughly as possible to reduce the potential for silt and clay to move into the sand root zone, clogging the pores and reducing infiltration and permeability. 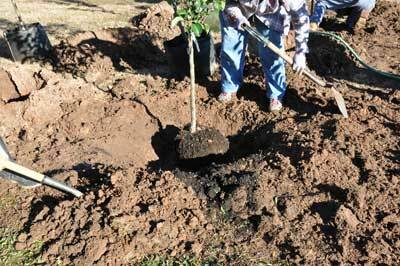 The use of shovels, sweepers and water to move/remove soil deposits will reduce the potential for damage. However, these affected turf systems will likely require aggressive core cultivation and topdressing to restore and maintain acceptable infiltration and aeration. It is often not possible or practical to remove deposited soil from flooded turf while it is still wet. The drying process may take two or three weeks, perhaps longer, depending on weather, soil, and drainage characteristics of the underlying soil and turf. Remediation at this point is largely dependent upon the depth of deposited soil. Lawns submerged less than 4 days and covered with an inch or less of soil have a good chance to recover. Assessment of potential lawn damage and recovery may not be possible until those areas have dried. Checking for new shoots emerging from the soil or the emergence of new shoots from surviving plants is a good way to make an early assessment of damage. Usually, once regrowth has begun, it will continue, although it may take several weeks before the lawn has completely filled in. Core cultivation/aerification is one of the most important and beneficial operations conducted where soil deposits are less than an inch. When the lawn has begun to grow (green leaves begin to appear), go over the lawn 3-4 times with a core type aerifier. This will help improve overall soil structure, improve soil oxygen levels, help break up soil layering problems caused by the deposited soil and encourage recovery during the fall. The lawn should also be fertilized (using any lawn fertilizer, following label instructions for applying the correct rate) at this time (September-October). Overseeding can also be done at the time of aerification. The aerification holes provide perfect conditions for the germination of grass seed. Lawn areas that are thin (or the entire lawn can be overseeded at this time) can be overseeded with Kentucky bluegrass or a Kentucky bluegrass/perennial ryegrass mix (tall fescue lawns should be overseeded with tall fescue seed), using a seeding rate of 5-6 pounds of seed per 1000 square feet. Rake the lawn lightly after seeding to work seed into the aeration holes. Irrigate the lawn to maintain moist, but NOT saturated, soil conditions. Lawns covered with more than 2 inches of soil may be heavily damaged, with only a slight chance of recovery. Degree of recovery will vary with grass species and depth of soil. The greater the depth of soil, the slower the recovery and the less likely the lawn will recover. If the lawn area is completely buried with many (3 or more) inches of soil, then the best strategy may be to accept that the majority of the lawn has already been severely damaged or killed and it will be necessary to reestablish a “new” lawn. To reduce the future potential for soil layering to cause drainage and rooting problems for the new lawn, there are two ways of dealing with the deposited soil. One is to remove as much of the soil as possible, down to the original lawn surface. Understanding that this may be difficult or impractical, the deposited soil may be left on the lawn and rototilled into the lawn as deeply and thoroughly as possible. This, in essence, will create a “new” lawn root zone that is a mix of the deposited soil and the underlying lawn and its soil. The goal is to eliminate, as much as possible, the formation of layers in the “new” lawn root zone by thoroughly mixing the original lawn’s soil, the layer of the original, dead lawn, and the flood-deposited soil. After leveling and firming the “new” lawn soil, it can be sodded or seeded as any new lawn would be established. Cool-season grasses can be seeded anytime between Aug. 20 and Sept. 30 (buffalograss should be seeded in April/May). Sod can also be used to provide an instant lawn. Do not sod over existing dead or buried vegetation. The old dead layer of lawn grass must be thoroughly tilled into the soil before laying new sod. With perennials waking and buds swelling, we feel the call to get outside and reconnect with the earth. Each warm weekend we linger longer in the yard, reveling in the emergence of bulbs and blossoms. Yet, just as we feel the season’s change, so do others in the landscape. They’re out there now, getting busy and quietly enacting plans to take over more territory in your yard. March is the mitiest month, not because it comes in like a lion, but because it heralds the climax of the smallest nuisances in the yard: Grass mites. And between feeding on the lawn and entering our homes, they’ve launched a campaign of annoyance. Perhaps the most startling natural phenomenon that happens to many of us in the Front Range is the annual migration of clover mites into our homes. Moving by the hundreds, the tiny, bright orange arachnids clamber walls and slide in around windows. The first appearance doesn’t raise more than an eyebrow, as one or two crawl across the desk. But then two becomes 10 and slowly that number creeps upward, until the warm day dawns when the mass moves indoors, teeming along the windowsill and streaming to the floor. Normally, I’m not given to fear-mongering, especially about bugs and arachnids. Clover mites won’t cart off the cat for a luau on the deck. But they leave a red-orange smear once squished, and like a chalk outline around the carcass, reminds me of the crawler each time I see it on paper, book, or curtain. Creepy. Outside, clover mites feed on turf grass or other plants. They’re unremarkable in the landscape; they don’t damage a lot of the lawn. But when lawns are nestled up against the house, the trouble starts, so plan your landscape to leave a barrier between plants and walls. Within, controlling these mites is fairly simple. Simply place a quarter inch wide line of powder along the window-sill from side to side, being certain that the powder touches the side walls. This barrier, according to Dr. Whitney Cranshaw, state entomologist and professor at Colorado State University, is enough to stop them in their tracks. Any powder works, such as baby powder, corn starch, or baking powder. As the mites crawl into it, they’re rapidly incapacitated and dry out. When the powder has gotten filled with mites it will turn a light orange color, a sure sign that it’s time to vacuum it up and apply a fresh barrier. Continue this until May, after the mites are actively entering homes. As you’re battling mites in the home, keep an eye on the lawn, since more damaging mites are at the peak of feeding for the winter. During warm winters, such as what we’ve had, mite populations explode. Hatched in October, mite numbers increase into winter. As they feed, rasping off the leaf surface and sucking up tender, interior cells, the damage appears as small yellow speckles on the grass blades. As feeding intensifies, the grass becomes straw colored and eventually dies, leaving large patches that don’t green up in spring. Balmy winter temperatures sets mite metabolisms into overdrive, and by this time of year, populations can reach several thousand per square foot. This damage is often mis-diagnosed as winterkill or desiccation. If you’ve had mite damaged lawn, take a quick look to see if they’ve returned. 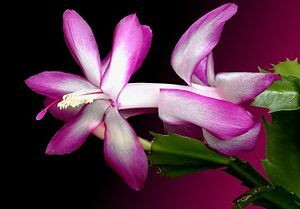 Check the base of the plant for congregations of them during the day. If you see them, irrigate the lawn to raise humidity or check with a local lawn care company for stronger treatments. Snow cover doesn’t put a stop to their feeding, since it provides protection, but as it melts, the moisture helps drive off the mites. The new year has gotten off to quick start and gardeners are eager to get their hands back in the soil. But the ground is frozen and plants are asleep, so the best cure for the green thumb itch is to sit through a few classes. Fortunately, there are several seminars to choose from along the Front Range. Two powerhouse speakers, Lauren Springer Ogden and David Salman, are appearing January 22 at the Drake Centre, 802 W. Drake Rd. in Fort Collins. Salman, owner of High Country Gardens in Santa Fe, and landscape designer/author Springer Ogden are expert in creating beauty in the west. Their topic, “Creating Undaunted Gardens: Plants & Inspiration from Two Pioneers in High Country Gardening,” is a must-see for gardeners feeling the winter blues. Fee for this seminar, a fundraiser for the Gardens on Spring Creek in Fort Collins, is $40 members, $45 for non-members, and includes a breakfast buffet. Information and registration are available online or by calling the Gardens on Spring Creek at 970-416-2486. 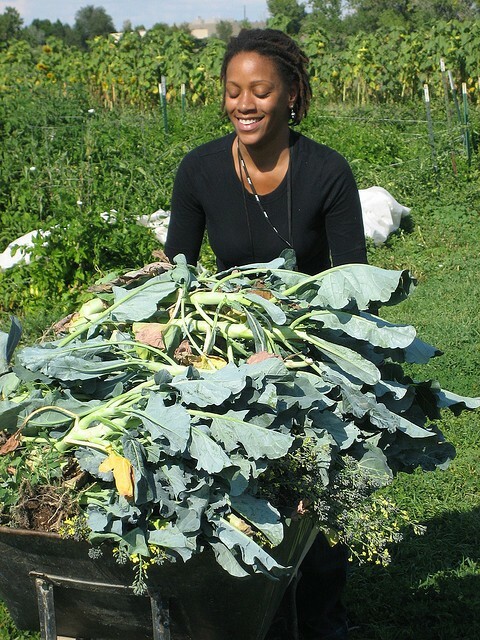 “Your Edible Gardening Workshop,” offered by the Colorado State University Extension offices of Larimer, Adams, Weld and Boulder counties, is a one-day immersion into food gardening. The basics of soil, water, and plant selection are explored, along with seminars on specialty crops, like strawberries, tree fruit and brambles. This all-day workshop is Saturday, January 22, 9 a.m. to 4 p.m. at the Ranch in Loveland, and costs only $75. Lunch is not included. Call 970-304-3565 for more information or to register. Can’t decide between landscaping for beauty or wanting to plant for food? Check out the one day “High Plains Landscape Workshop,” Saturday, Feb. 26 at the Fort Collins Senior Center, 1200 Raintree Dr. Featuring Scott Calhoun, author and columnist for Sunset magazine, the workshop focuses on gardening from the ground up with seminars on perfect plant combinations, soil savvy, strategies for design, and choosing vegetable varieties. The popular event includes lunch and a chance to talk with other gardeners who revel in early season planning for beautiful landscapes. Registration is $35; $40 after February 16. Workshop information and registration materials are available online or by calling the Gardens on Spring Creek at 970-416-2486. If you don’t mind driving and want a chance to hear elite speakers discussing issues and intricacies of gardening in a land with limited resources, head to Colorado Springs for the Peak to Prairie Landscape Symposium, Feb. 4 and 5. Design tips, trends, and water-wise landscaping are the focus of this two day event. Register for both days or a single day only; check out their Web site for fees and registration information online. I learned a new phrase the other day when I was visiting Palisade for the Colorado Mountain Winefest. If you haven’t been, this three-day event features seminars, tastings and activities designed to celebrate the harvest. In that time you can lose yourself in discovering new wines, or spend your days learning. “We’re in crush,” were the words that changed my day. Technically, the phrase means grapes are in harvest and brought to the wineries for preparation of fermentation. Yet the simple words mean so much more: a moment each fall when time seems to still, when the daily grind is set aside in favor of focus on turning vines into wine. I’m a winemaker and, along with my husband, brother, sister-in-law, and friends, have delved deeper into the culture of the grape each year. Armed with a book and the courage born of ignorance, we’ve turned out 14 types of wine, one vinegar, and a spectacularly spoiled science experiment. Each year, we bravely try again. 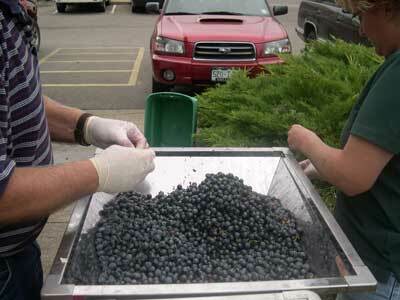 We’re in the middle of crush right now in Colorado, a delicate time for grapes. For such a tough plant, it’s a princess when it comes to its fruit: too much sun, not enough sun, mildew, rain, frost, these are all conditions the clusters won’t tolerate. Each one has the power to affect the vintage for good or for bad. But ripeness isn’t just sugar, it’s also a balance of acid, plus subtle flavors that come with warm days and cool nights. The longer the clusters spend on the vine – known as hang time – the greater the complexity of the fruit. This season, winemakers have been anticipating the ripening of the clusters, which has teased us with a slow-rapid-slow pace. We’ve been on alert and suffering delays or sudden deliveries for weeks, seesawing between idleness and panic. Schedules are cleared for delivery, then filled when harvest is delayed, then worked around to accommodate the grapes. The crazed uncertainty has become a staple of fall for me, and I feared it was simply due to a novice’s inability to select and schedule delivery of grapes. Until the phrase “we’re in crush,” was uttered by Horst Caspari, our state viticulturist, as an explanation for an insane day he spent travelling to and from Fort Collins – 12 hours round-trip – for a two-hour meeting. With these words, the clouds of craziness in my mind parted, and realization dawned: this isn’t insanity, it’s part of winemaking. What’s more, I reasoned, the phrase could be used to explain away all sorts of distracted behavior, lack of commitment to meetings, or adherence to schedules. “I’m in crush,” carries a romantic mystery that keeps non-winemakers at bay, who universally think I dress up like Lucille Ball, strip off my shoes, and stomp around a giant, grape-filled vat. As appealing as that sounds, the reality is less cinematic: modern equipment churns the berries, crushing them into pulp that slides into buckets. At that time, yeast is added to begin fermentation. 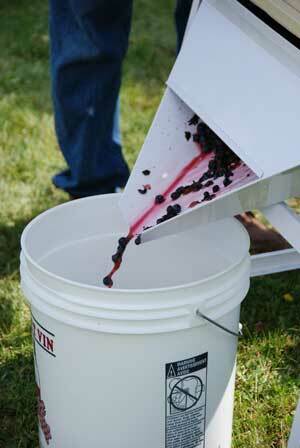 From there, turning the grapes into a drinkable wine is up to the vintner. Colorado boasts some of the finest grape growing areas in the United States, with two American Viticultural Areas (called AVA’s, federally-designated grape growing region with unique characteristics) in the Grand Valley and West Elks, along the North Fork of the Gunnison River. Merlot, Chardonnay, Cabernet Sauvignon, syrah, Riesling, and other well-known varietals are grown in these regions. When you’re having an anniversary, throwing a party is a popular way to celebrate. Haul out a shovel to dig in the soil during the party, and most people think you’ve gone off your rocker. 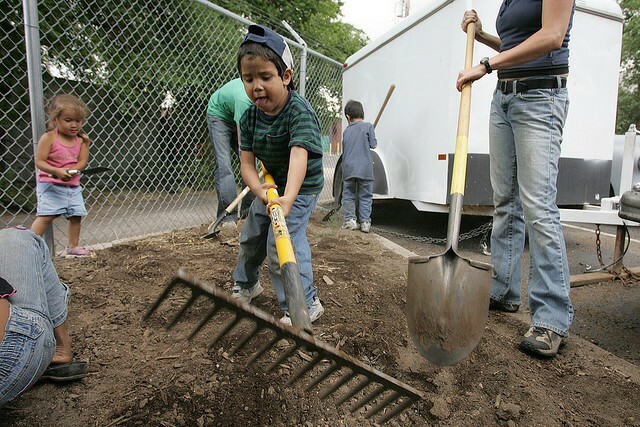 But if you’re Denver Urban Gardens, getting your hands dirty is what your big day is all about. 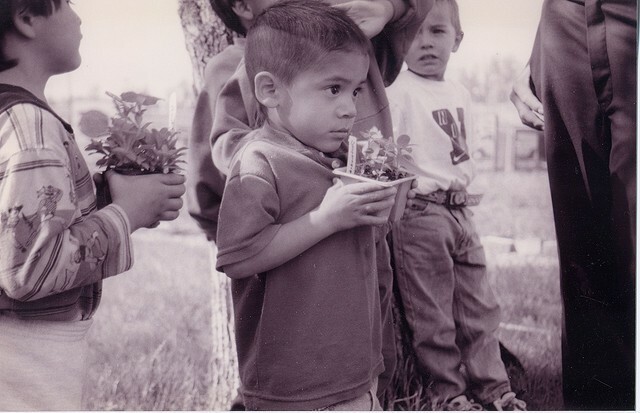 To celebrate their 25th anniversary, DUG has teamed up with Denver Parks & Recreation to break ground on their 100th community garden at Ruby Hill Park at the corner of West Florida Ave. and South Platte River Drive. Residents are invited to bring their picnics to a free celebration, dubbed ‘Flourish!’, at 11 a.m. on Saturday, Sept. 25. Music, cooking competition, and activities await participants. “In a lot of ways, this is a milestone,” says Michael Buchenau, Executive Director of DUG, “we’ve had our nose to the grindstone trying to build quality gardens, one at a time.” Ruby Hill Park was selected for the garden location because of its incredible history, beautiful views and proximity to neighborhoods that can benefit from a community garden, he said. 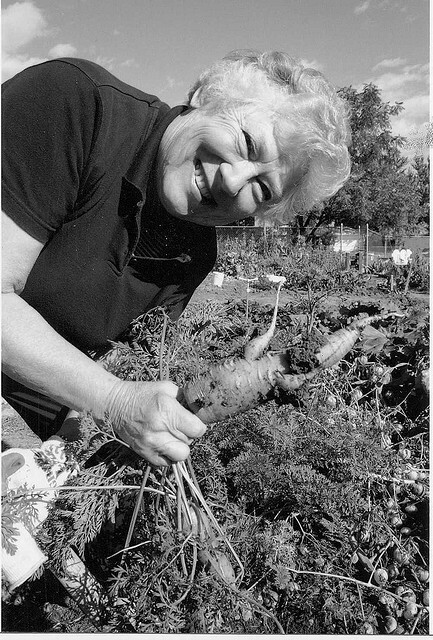 Denver Highlands resident Marty Roberts, who turned abandoned lots in her neighborhood into the Shoshone, Pecos, and El Oasis community gardens, and the creation of the Emerson Garden in Capitol Hill, Whittier Garden in Five Points, West Washington Park, Rosedale Gardens in south Denver, and the San Rafael Garden in Uptown, Cordts wanted to connect and support the gardens through a nonprofit organization. “During the early years, our roots weren’t with DUG. 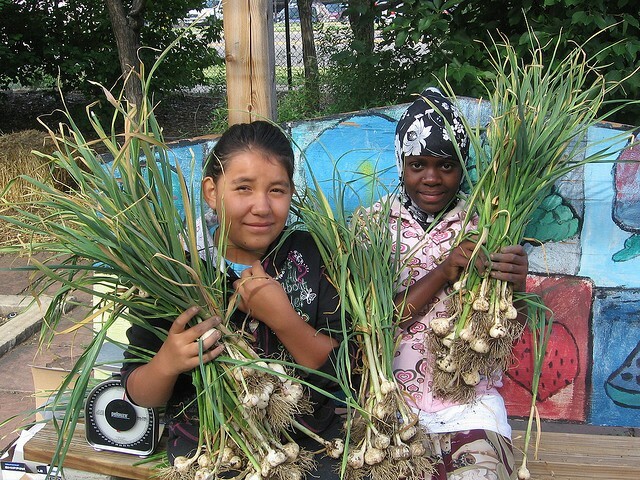 We ran our own things, managed our own budget,” says Dave Conant, Garden Leader of Rosedale community garden. Cultivating a plot there since 1986, Conant remembers the transformation of garden management from a loose group of independent gardeners to a focused, committed part of DUG. 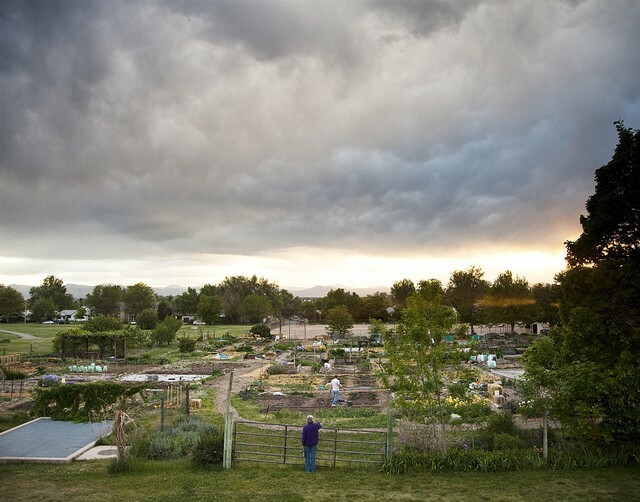 The Rosedale location is the largest community garden in Denver, and gardeners regularly donate produce to the food bank and Project Angel Heart, a non-profit that provide nutritious meals to gravely ill persons. Formally incorporated as a 501c3 organization in the spring of 1985, DUG spent a decade with a volunteer board working to expand the organization. In 1994, they hired Buchenau and David Rieseckas as Co-Executive Directors. Buchenau has captained the organization alone since the departure of Rieseckas over six years ago. “I have an M.S. in Landscape Architecture from Harvard, and worked in design for a while. But I really wanted to give back to the community, to do something to connect people,” he said. Following the groundbreaking ceremony during Flourish!, attendees will be entertained by a cooking competition and community concert sponsored by Swallow Hill. Local chefs from Bistro One, Limon, Jonsey’s, Root Down, Village Cork, Black Pearl, and WaterCourse will compete using locally-grown, fresh ingredients and the winner determined by a panel of local celebrities. Throughout the day, families will also have the opportunity to interact with hands-on garden and sustainability-themed activities. Swallow Hill will host a concert of an all-star lineup of musical acts, including national singer/songwriters Patty Larkin and Lucy Kaplansky, national children’s musician Justin Roberts and local Latin reggae band, Mono Verde. The World’s Largest Ukulele Lesson – that’s right, ukulele – rounds out the day’s fun. Contact DUG for more details on the day.